Tumors are made up of a cluster of abnormal cells that harbor genetic mutations, allowing them to grow out of control by the body’s natural defense mechanisms. As these tumors grow, cancer cells along the edges of the cluster migrate into the bloodstream and circulate through both the blood and lymphatic system as CTCs (also known as metastasis). These CTCs, present in 1 in a billion cells, can continue in circulation, join with other circulating tumor cells or become lodged in outlying tissues to form more tumors. If CTCs can be captured from the blood, they can be used as a less invasive method compared to surgical tumor biopsies to detect clues about the underlying genetics of the disease in the hope that this information leads to better diagnosis and treatment. Precision for Medicine (formerly ApoCell) has become an industry pioneer in isolating and analyzing Circulating Tumor Cells (CTCs) from patient blood or other fluidic sources for monitoring the pharmacodynamic effects of investigational therapies using our platform technologies for liquid biopsies. We developed the ApoStream technology to isolate CTCs from the blood of various types of cancer patients for further cellular characterization on our state-of-the-art Perkin Elmer Vectra Polaris image platform using Halo analytics. 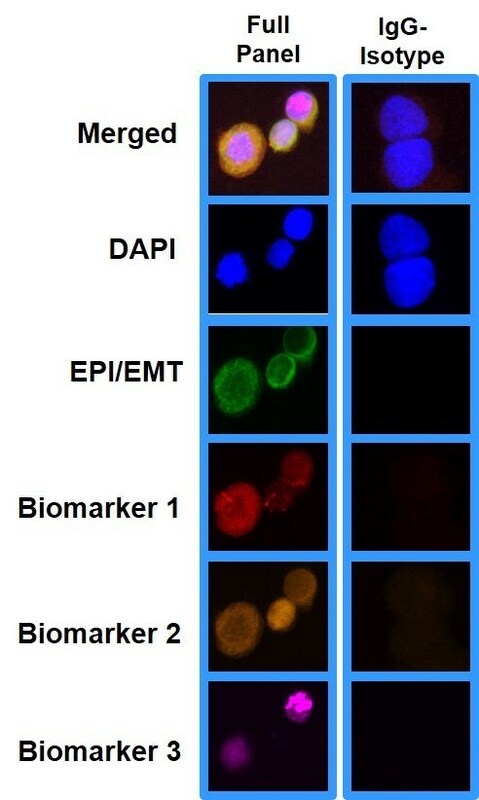 The Opal technology allows simultaneous detection of multiple biomarkers enabling the enumeration of the epithelial and mesenchymal CTC phenotypes along with customized mechanistic biomarkers to monitor specific effects of the drug. We have optimized complex workflows to further interrogate ApoStream enriched CTCs using our liquid biopsy platform technologies. Our methodology results in high specificity with superior recovery rates and purity, allowing for the most relevant enriched population to be further characterized for proteomics, FISH/ISH, or transcriptomic analysis of CTCs including DNA microarrays and next-generation sequencing (NGS) and RNA-Seq. Transcription can also be investigated at the level of individual cells by single-cell transcriptomics. Precision for Medicine has pioneered the ability to capture other target rare cell populations using antibody-based immunomagnetic bead enrichment methods of interest from whole blood and other sources including bone marrow, urine and tumor homogenates. These target cells of interest can be characterized using a variety of downstream analyses using our platform technologies for liquid biopsies, all customized to suit each client’s needs. Our methodology results in high specificity with superior recovery rates and purity, allowing for the most relevant enriched population to be further characterized for proteomics or transcriptomic analysis of CTCs including DNA microarrays and next-generation sequencing (NGS) and RNA-Seq. Transcription can also be investigated at the level of individual cells by single-cell transcriptomics. Contact us to request a custom proposal to utilize Precision for Medicine's service offerings and technologies to help meet your clinical and research needs.